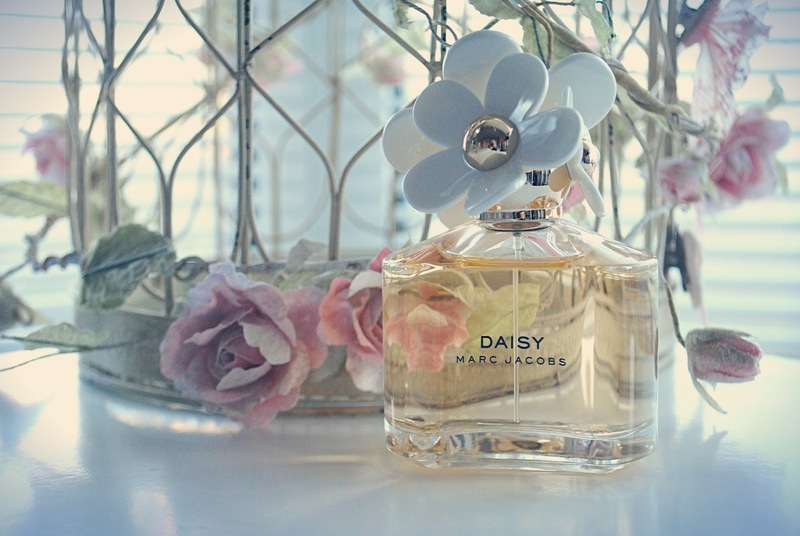 I'm currently having a big love affair with a multitude of new perfumes, one of which is Marc Jacobs Daisy. I received this just before Christmas and absolutely love it - it's a gorgeous, fresh and light scent which reminds me of the spring. I adore the bottle and I can definitely see this becoming a signature scent for me throughout the year. 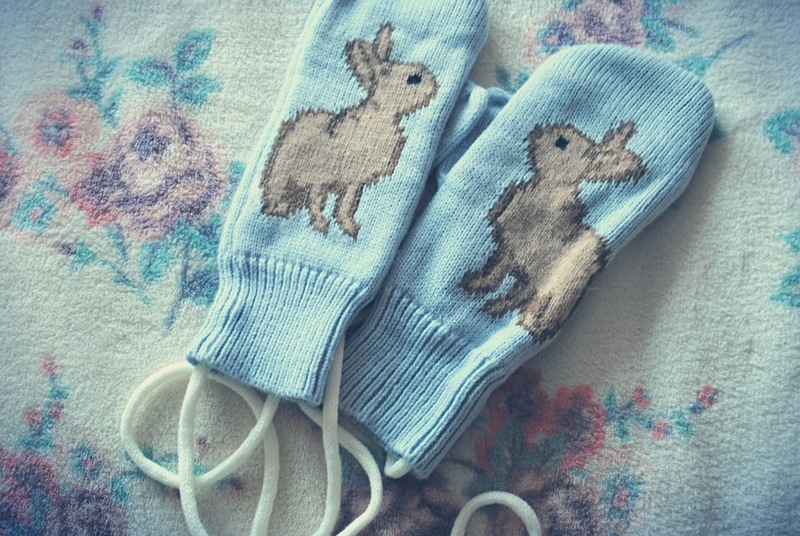 As the weather is at its chilly best, I've been stocking up on the knitwear department, and couldn't resist investing in this gorgeous pair of mittens from Topshop. With a gorgeous bunny print and a tie to keep them both together, these having me reminiscing about my childhood and look seriously cute when worn with my favourite pink coat from New Look. I can never stop myself when it comes to Accessorize's sale, although I made sure I restrained myself to some extent, as I could have ordered quite a lot more. 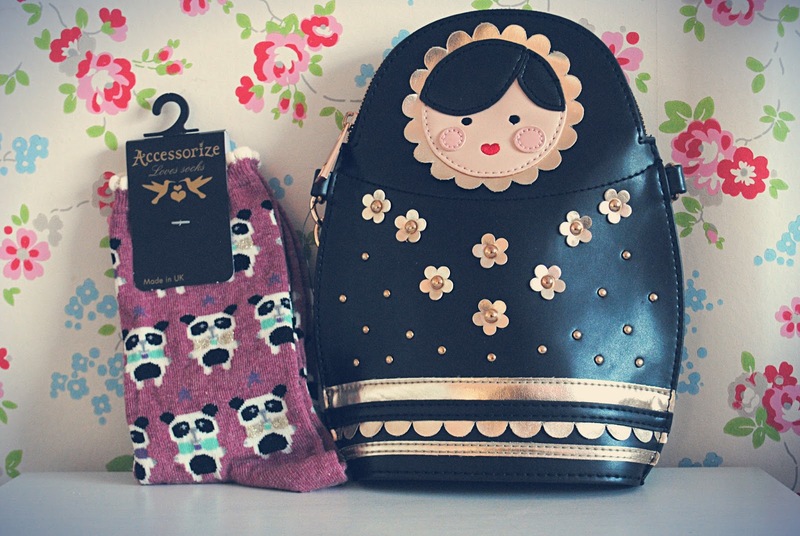 I adore Accessorize's unique and quirky bag collection, and as soon as I saw this Russian Doll bag I had to have it. How cute is that little face?! I also threw some sweet frilly socks in as I couldn't resist the little pandas. You know me, I can't resist getting a new iPhone case every now and again, and when I stumbled across this one on Ebay it had to be mine. 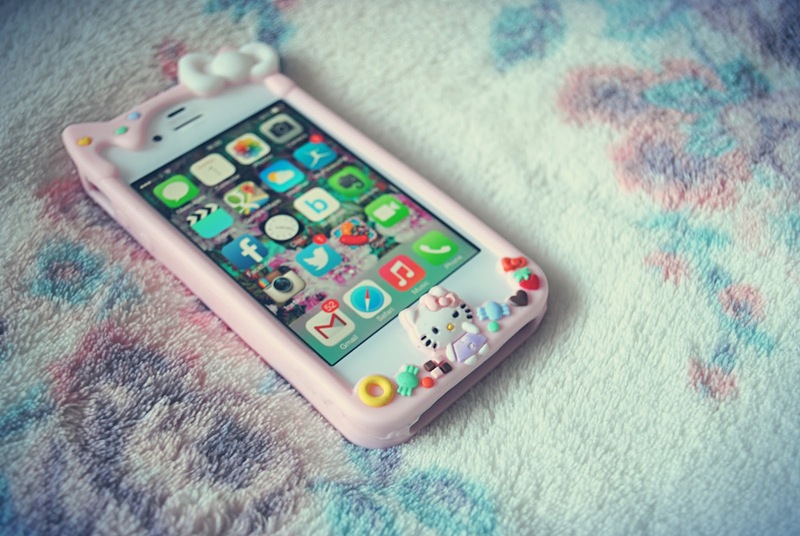 It's a bumper case so it doesn't keep the back protected which is a tad annoying, but it was ridiculously cheap and I love that the little Hello Kitty doubles up as the home key! 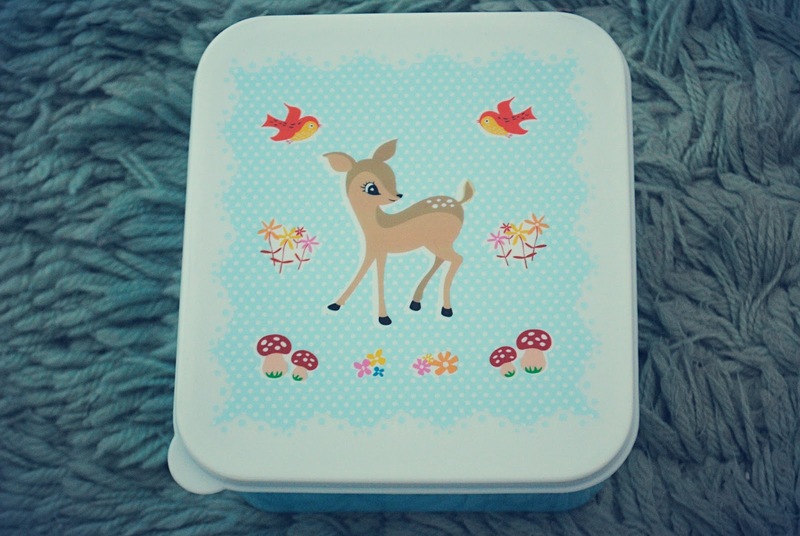 As part of getting into healthy eating, I decided I'd have to invest in a cute little lunchbox to stop me from buying fast food when I'm out, and instead keeping a nice healthy pack up, packed with fruit and healthy sandwiches. It was from ASOS and matches my hot water bottle I got for Christmas - what's not to love? !